Full vision showcase - chocolate cherry 70"
Assembled 70" full vision chocolate cherry display case. Comes with glass front top and 2 rows of shelves one 8" deep and one 10" deep. Our most economical showcases built in our facility in Kansas City. Constructed of 3/4" melamine board. Tempered safety glass top satin finished clear anodized aluminum frame extrusions. Highly efficient for most retail uses featuring American made quality. These are assembled crated and ready to ship. It will arrive on a large commercial delivery truck. See an image here . What does the crated display case look like? It is fully contained within styrofoam and cardboard sheeting then framed in wood for stability and handling. See a picture of a crated showcase . 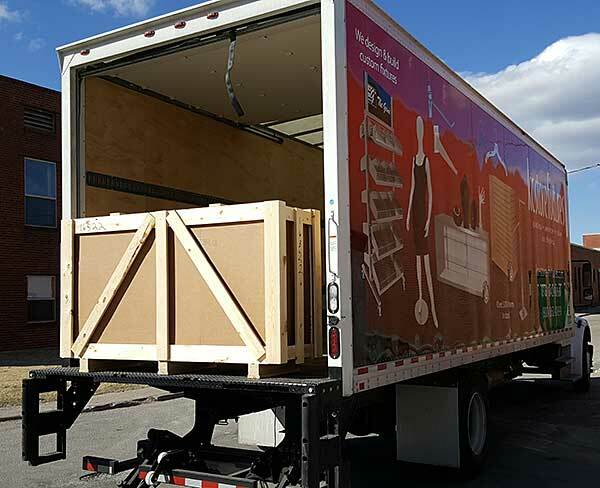 A lift gate is a hydraulic deck attached to the end of the delivery truck that can lower your display case to the ground. There is an extra fee for a lift gate but it can be very helpful if you don't have a forklift a dock or help to unload. See a picture of a lift gate in use here . Will I need a lift gate? Since the purpose of a lift gate is to lower freight to the ground you won't need one if you can unload the trailer with a forklift or have a dock the same height (approximately 48 inches high) as the trailer for off-loading. You also have the option to unload it by hand but it could take several people depending on the weight and size of the crates. Will the driver bring it inside and/or uncrate it? 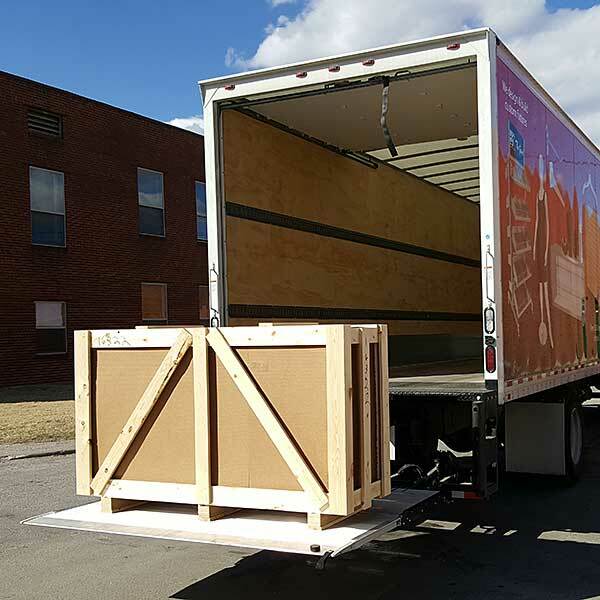 The driver can bring your showcases inside (with your help and not on his own) but that is an addtional fee and must be arranged before it ships. 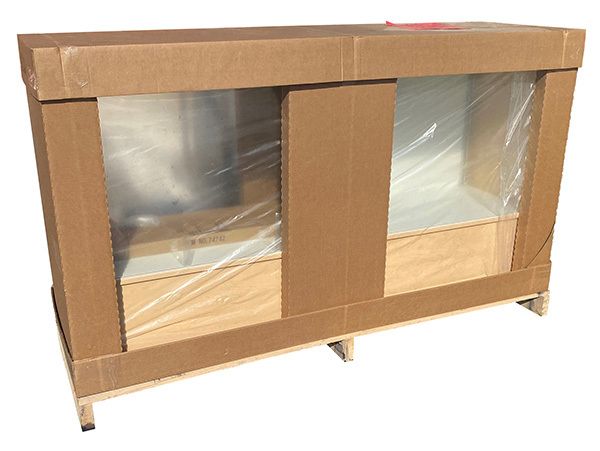 The driver will not uncrate your display case or remove the crating. That service can be quoted before it ships if you require it.